Make a statement and boost exposure for your brand with an eye catching, custom printed feather flag. Perfect to place outdoors or use at an indoor exhibition. Price per flag shown below. Enhance your company’s presence and draw attention at events with our fluttering feather flags! With such a commanding height, along with the movement caused by the wind; feather flags aid in capturing the attention of passers-by and will help your trade stall stand out among your competitors. 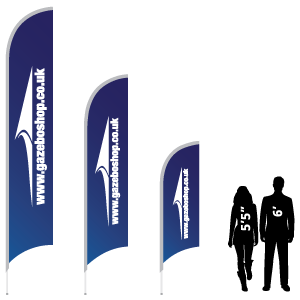 Each feather flag features a unique, stylish shape and with its extensive print area ensures that your promotional flags are always visible, even from a distance. The flag pole spins freely in the wind which helps to attract attention with the movement. Because of their unique flying design, these feather flags are ideal for outdoor events and are constructed to withstand moderate wind conditions (when secured properly) yet are equally great indoors. Lightweight, portable, and easy to assemble, each feather flag sets up and breaks down in a matter of minutes. 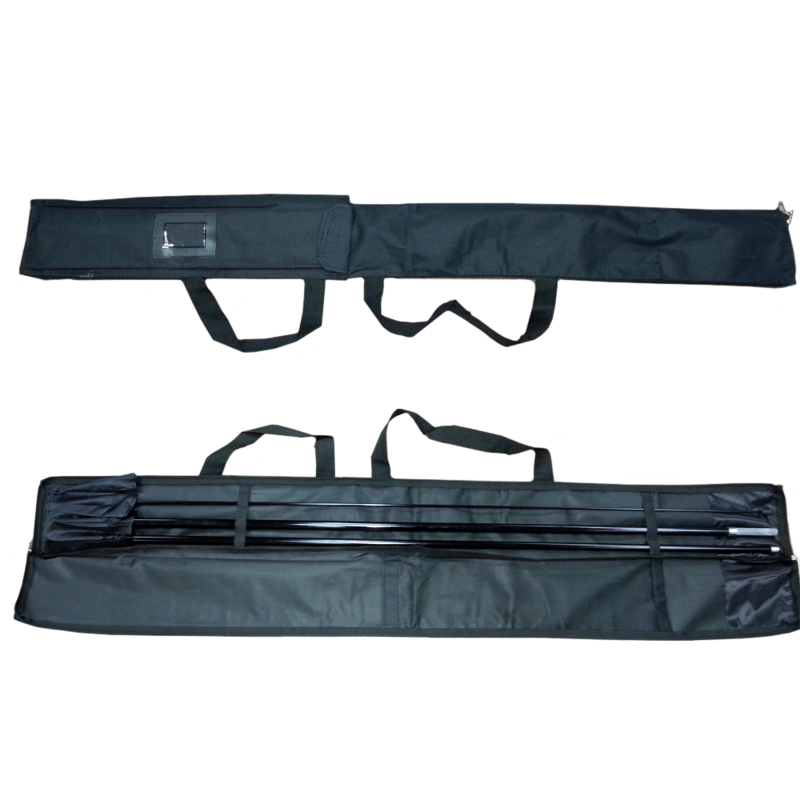 They also come with a carry bag to allow for simple transit from one event to the next! Our feather flags are printed single or double-sided using dye sublimation. 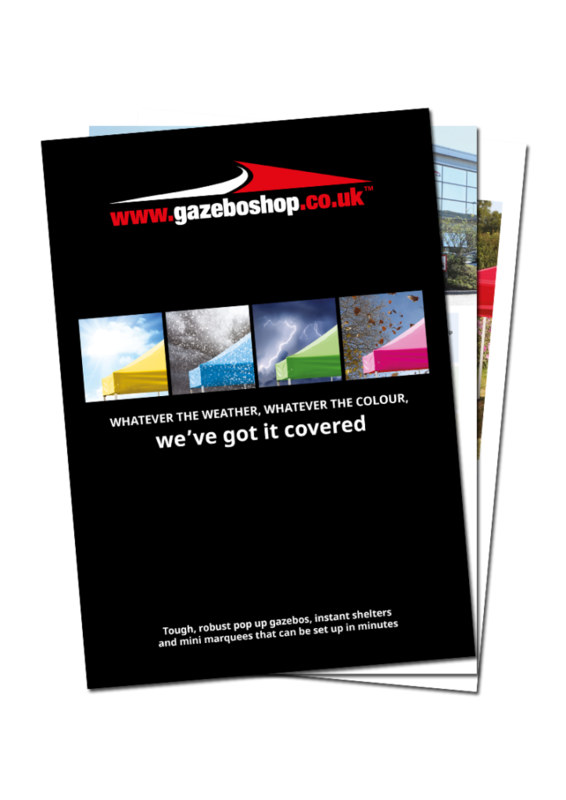 We can meet your exact print requirements as there are no limits to the colours and images we can print. We offer true double-sided printing. This means no more mirror images of your logo. You can have a different image printed on either side. Please complete the Custom Printing form or contact us for a FREE visual! Each feather flag comes supplied with a carry bag and pole. Our feather flags are simple to set-up and require no additional tools to assemble. The pole is sectioned and slides together expeditiously. Simply slide the printed flag onto the pole through the built-in pocket that is sewn into the material. The flagpole is made of 100% fiberglass. Feather flags can be clamped to a gazebo or stand-alone (depending on the flag base you choose). All our flag bases allow the flag to swivel for all round visibility. See Related Products for more information. To get a custom print quote for Feather Flags, please complete the form below. Please provide gazebo frame type in requirements when ordering gazebo mounting brackets.